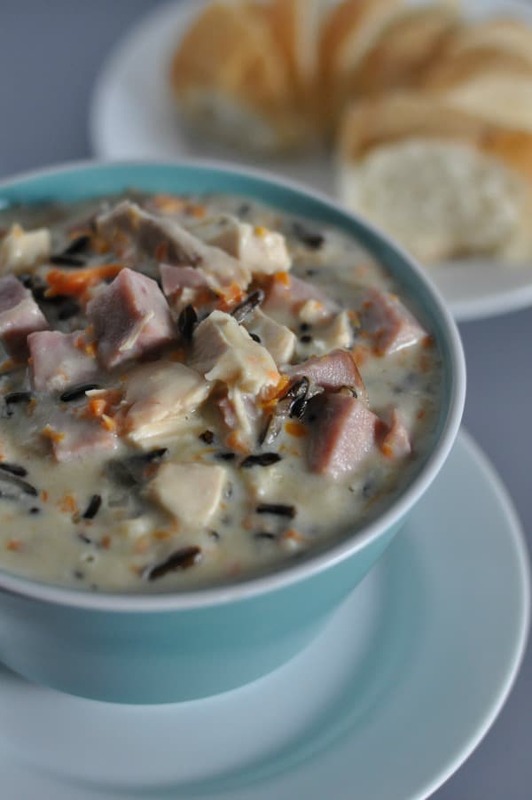 Creamy Wild Rice soup is a Minnesota classic filled with ham, chicken and wild rice. Around January of every year, Will and I always ask each other why on earth we live in Minnesota. For years, we were happy living in St. Petersburg, FL, where our main outerwear concern was which flip-flops to wear. Today I got mad at Will because he put my favorite turtleneck in the wash. Throughout the year there are so many reasons to love Minnesota, in January though, it’s hard to love Minnesota. When we first moved back here, Will was shocked to experience two Minnesota winter phenomenons-your nose hair freezing and getting locked out of your car-because the locks are frozen. Today I got in the car and the car thermostat started counting down from 16 all the way down to -11. Yes, -11. Wish you were here! 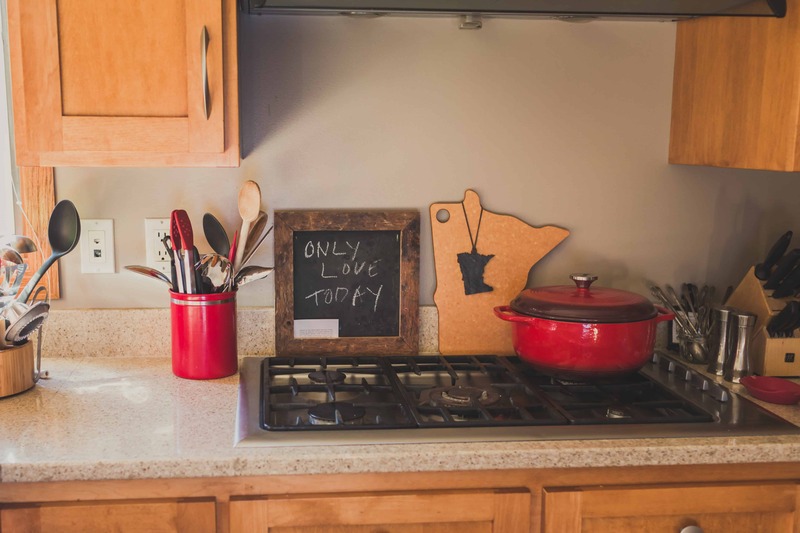 So needless to say, we stay in Minnesota, we love it-maybe not in January, but we love it, and one thing that helps us grin and bear the cold is soup. 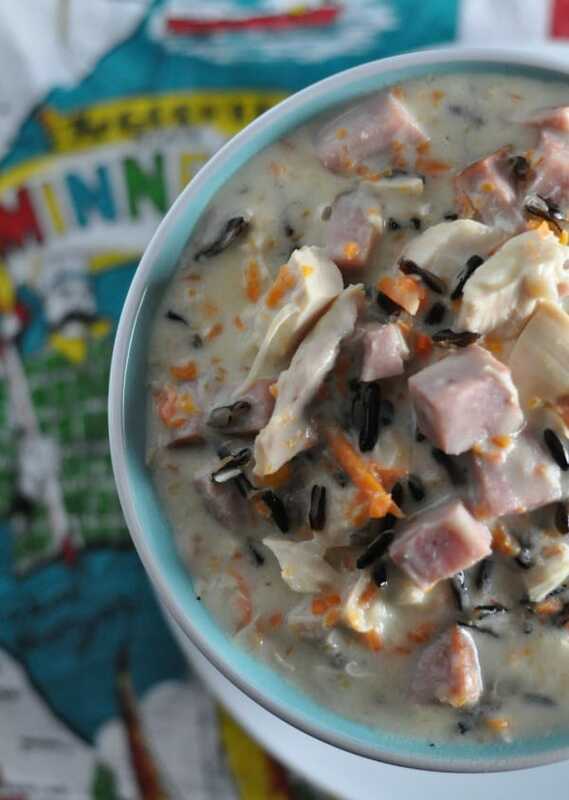 Most Minnesotans love Minnesota Wild Rice Soup and here’s my version. And even though I’ve had to trade my flip-flops for Uggs, there’s nowhere else I’d rather be. 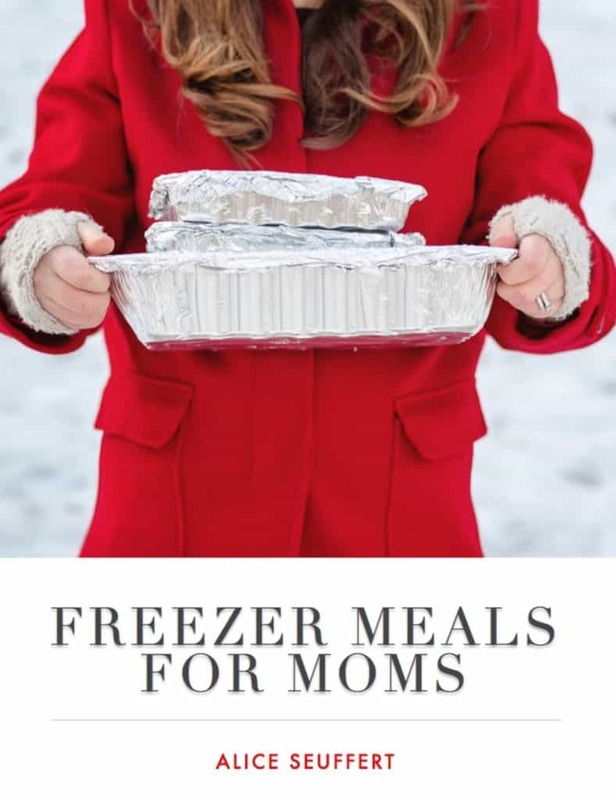 This recipe is included in my book, Freezer Meals for Moms, available for purchase here: http://www.e-junkie.com/293628/product/504555.php It’s included in the book because it is freezer-friendly! Label the resealable bag first with a sharpie. Once you fill the bag, bag it again with another bag. Lay the soup bag flat on a cookie sheet in the freezer. 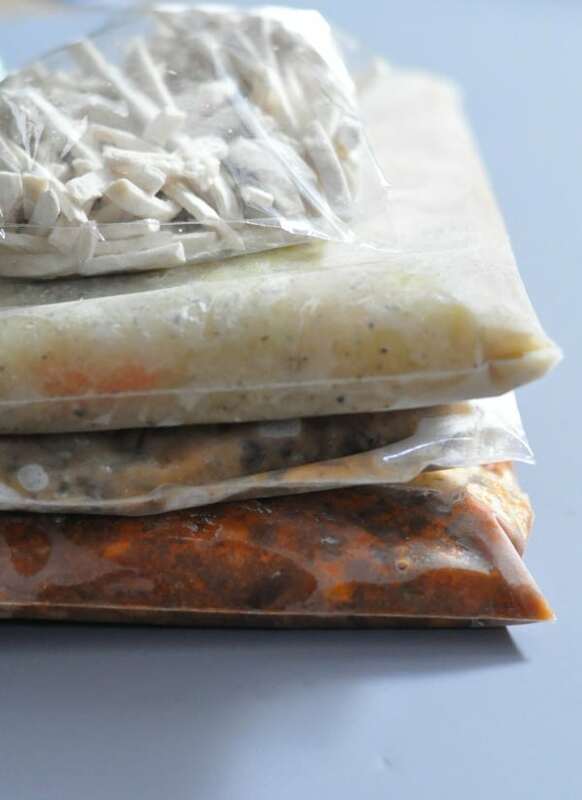 Stack soup freezer bags for easy storage. 2017 update: For years, I’ve been using the pouches of cooked wild rice. 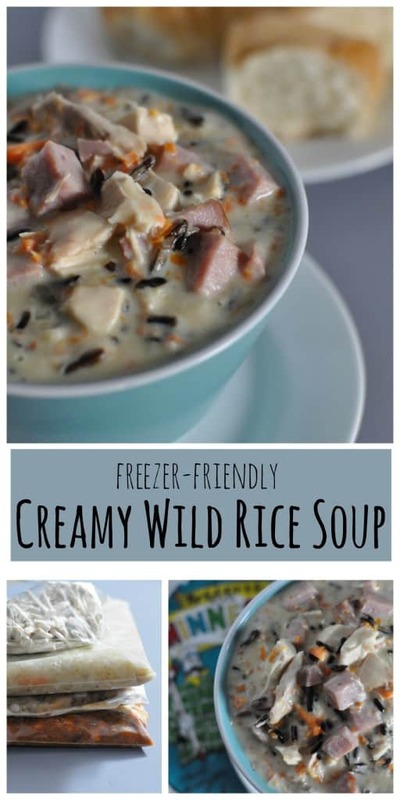 I tried Canoe canned wild rice and loved it. It will be the cooked wild rice I use in the future, it saves time and tastes great in this recipe. A large can of Canoe wild rice was about $8 at my local grocery store and had about 4.5 cups. I used three cups for this recipe and the rest I used in meatballs in place of the bread crumbs. Melt butter and sauté onion until soft (not brown) in a large stockpot. Blend in flour and stir to create a paste. Paste should stick together and be clumpy. Gradually add broth and whisk with paste clumps. Bring mix to a boil. Turn heat down to low and add cooked rice, carrots, ham, chicken, and salt. Let cook for 15 minutes to soften the carrots. Add half and half and dry sherry, then turn heat up to warm soup. Continue stirring, let stand 10-15 minutes to thicken. 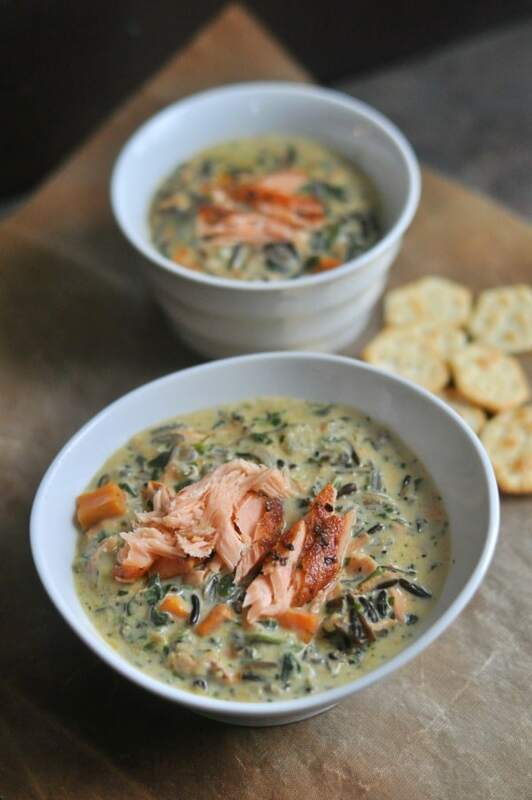 I think you’ll also love my Salmon Wild Rice Soup!